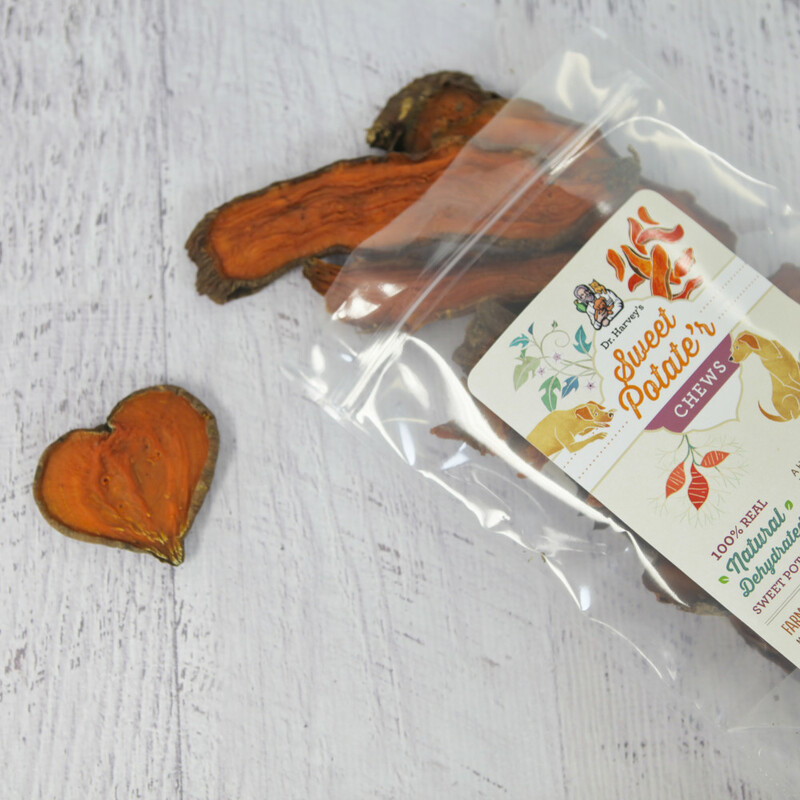 A Healthy, One Ingredient Treat. They’re Real Sweet Potatoes! We’re Sorry. This Item Is Sold Out. 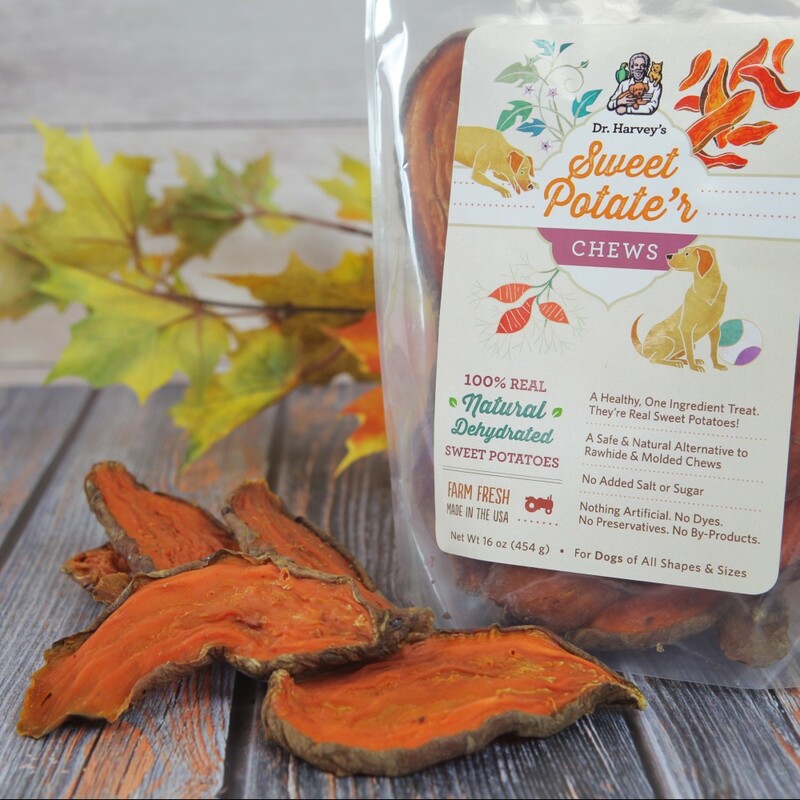 Sweet Potate’r Chews contain only one ingredient Dehydrated Sweet Potatoes. That’s all folks! Of course, our Sweet Potate’rs are grown and dehydrated right here in the United States, and delivered to us fresh every week! 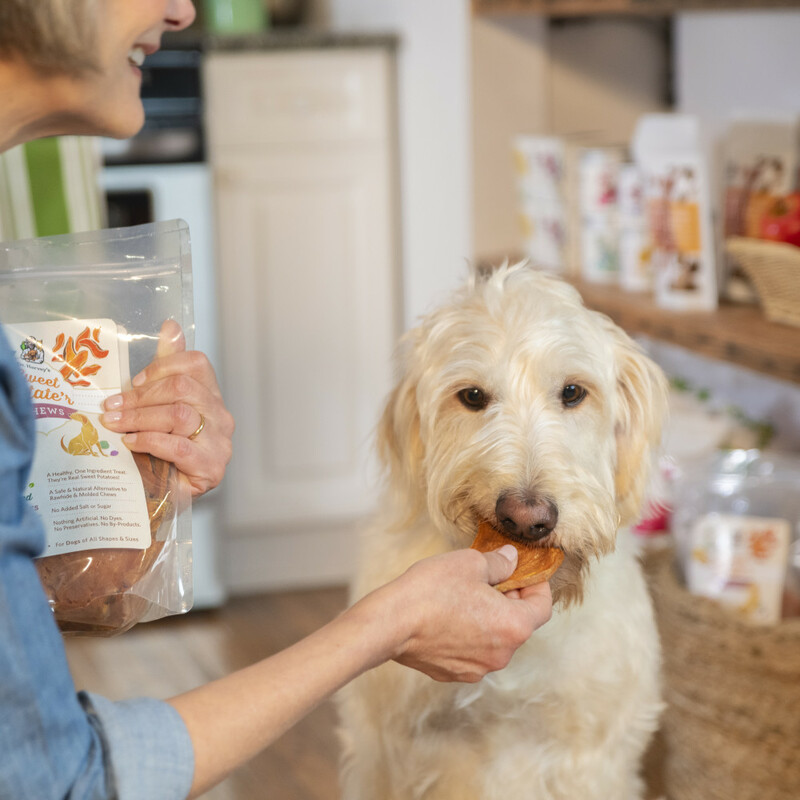 Because dogs love Sweet Potate’r Chews so much, they make wonderful motivational treats and can be used for training. 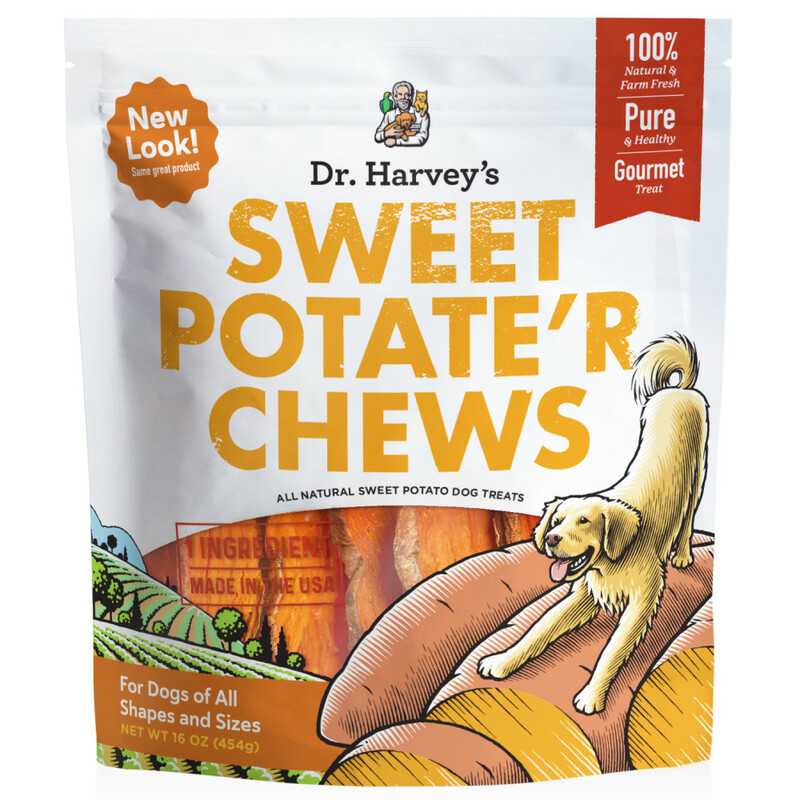 Sweet Potate’r Chews are fun for you and your dog.